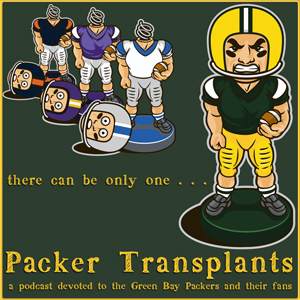 Listen to "Goodbye, old friend"
It's our tribute to the greatest player to ever wear a green bay Packer uniform. Play Podcast 24 right now. Click here. Great podcast guys. You discussed the NFC title game. Was it just me, or did his retirement open the wounds from the title game all over again, and then some? I really wish he would have been able to reach the Super Bowl. Also, you guys live in NYC. Did you hear Max Kellerman? They rank him below a ton of QBs and on the level of Troy Aikman and Fran Tarkenton. I hate these media folks who claim winning a ring is the most important thing and then they rank Marino ahead of Brett.